When I was in elementary school, we briefly attended a church that I ... well, I don't have very fond memories of this church. One thing they did have going for them, though, was a large children's ministry- a big improvement from the church we attended just previously... in which myself and my sisters were the children's ministry. I remember that little room reserved for the fifth graders pretty vividly. All the chairs lined up in a row, sitting near my "church friends" with their long, perfectly blonde hair and dimples. They all had pearl earrings. I really, really wanted pearl earrings. This was where I first learned about "sword drills." If you don't know, a sword drill is when the teacher calls out a verse of the Bible, and the first one to find it wins. I was terrible at sword drills. I can't remember which New Testament epistle comes when. And I have sort-of-kind-of-undiagnosed dyscalculia and consistently flip numbers around under pressure (fours and nines are the worst... I tell ya). I was pretty well doomed to lose every sword drill. The red head who always wore corduroy pants won. Every time. In fact, he won a lot of those Bible contests, that kid. He was super, super good at memorizing his memory verses. He knew all the Bible trivia. Bible Jeopardy was a breeze for this kid. The trouble was, he was a major jerk. Snobby and stuck up. I remember one time when he took two cookies and lied about it and the littlest girl in the class didn't get a cookie and she cried. And he didn't even look like he felt bad. He was the worst. He knew the Bible, but he didn't really know his God. He certainly didn't act like it, anyway. We've been talking about ways to understand the Bible better, to read more consistently, to increase our competency of Scripture. But let's not forget- knowing the Bible isn't the end goal, here. The Bible is a gift to us to use to help us find Him, to understand His heart better. Reading the Bible is a means to knowing God better, to leaning in to Him, to finding His truth, His life, His peace, through Christ. When we lose sight of that, we are missing the mark. It's easy to turn into that red headed kid from my Sunday school class. We can have all the knowledge about the Bible in our minds, it has to work its way into our hearts, and then work itself out through our hands. That's why reading Scripture is an ongoing, always changing, always appropriate action- because we probably won't ever be perfect, and we certainly can't fully know our God. Our search to know the heart of God won't ever end- and so we pray. We ask questions. We read the Bible and ask to hear His voice. We want to know Him more deeply, more fully. We want to come to know greater intimacy in Him. Knowing about the Bible is a good thing-- knowing the Author is the best thing. This is so true... "We want to know Him more deeply, more fully. We want to come to know greater intimacy in Him." May this become ever more fully my heart's prayer... to know Jesus more deeply. Thank-you for this heartfelt reminder, Ally. And thank you for stopping by! I need that reminder so very often, myself. 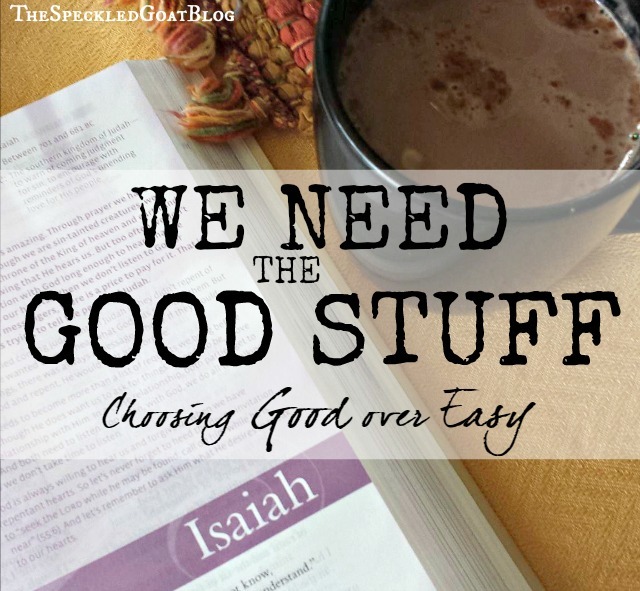 Great, convicting post! Thanks for sharing this. I'm terrible at memorization so have never found it easy to memorize scripture. I have to remind myself often, especially when faced by opposition, that "it's a heart thing," and that it's okay to not have all the answers or to not be able to reference scripture in response to every situation. Even when I write, I look back a year or two later and realize how much I am changing even every day in my understanding of God and His ways. I'm an awful memorizer, too-- but really, does knowing the exact words really make a difference? Or is it the overall knowledge of who God is? Instead, let's keep on getting to know Him, seeking His heart, and let all the legalism fall to the side. Well said, Ally! It's so easy to forget the end in mind. Our goal here is to know Christ so that our lives can be transformed, not so we can look good reciting scriptures. Very good point! Thanks for sharing! Transformation- always! Thank you for reading! Yes, and we can't love who we don't know, so you've certainly nailed the most important reason for staying close to God's Word -- it brings us close to Him, and we do a disservice to our learners (children and adults) if we let them think otherwise. Thank you, Michele! That's such a good point- we can't love Who we don't know. 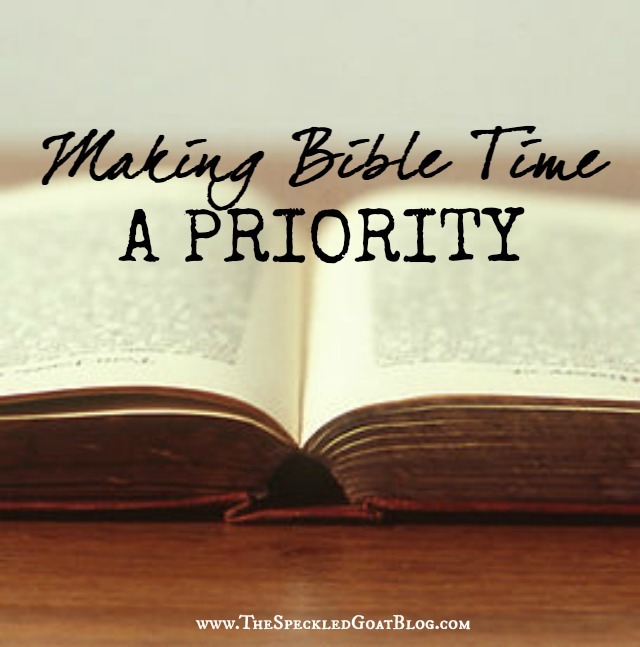 The Bible is an incredible tool-- a tool to bring us nearer to His heart. Well-said! 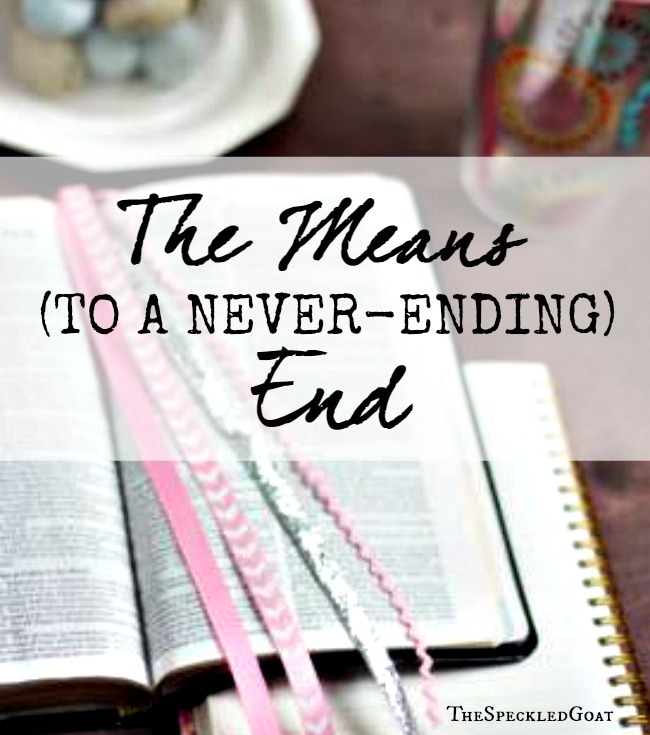 That scripture is one of my favorites and you illustrated it perfectly! I feel like I've read that verse lots of times before, but it really stuck out to me this time. Thank your for your kind words!